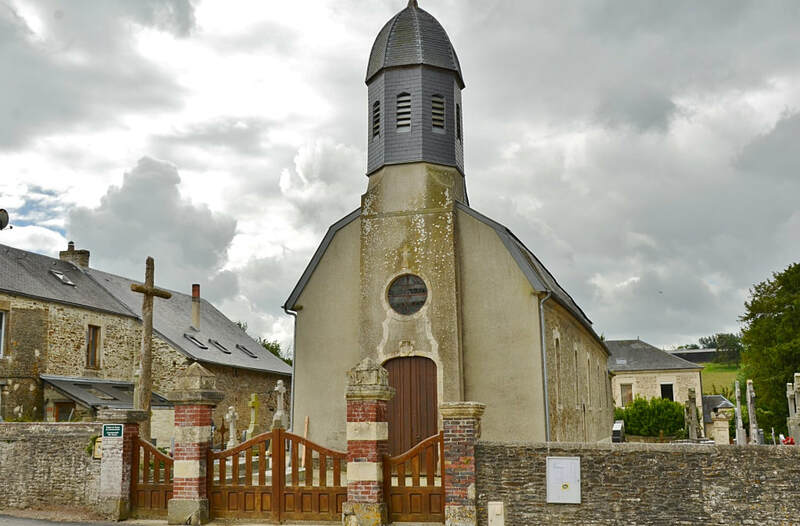 Coulvain is a village 32 kilometres south-west of Caen on the main Caen to Vire road. 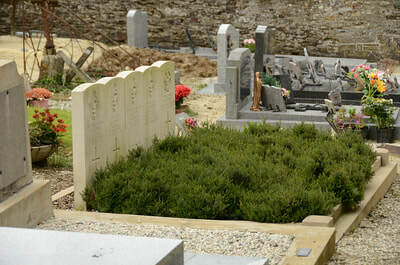 There are 7 Commonwealth burials of the 1939-1945 war here, near the south-east corner of the churchyard. 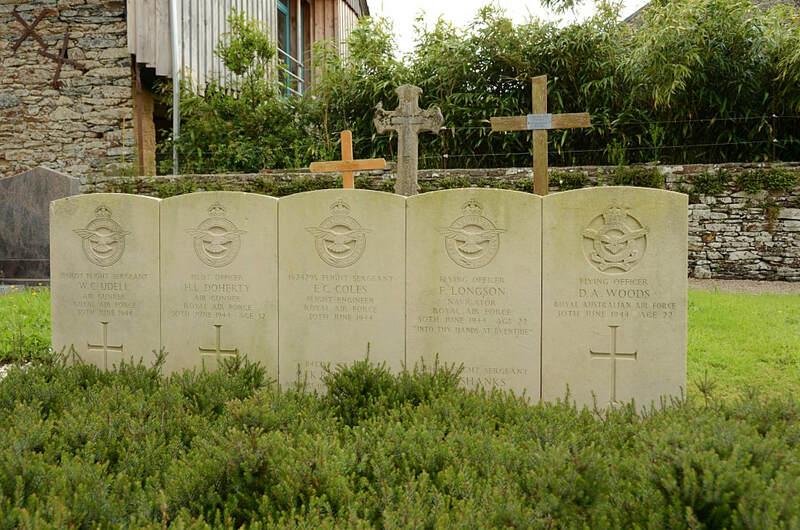 1624295 Flight Sergeant Eric Charles Coles, Flight Engineer in 514 Squadron, Royal Air Force Volunteer Reserve, died 30th June 1944. 178475 Pilot Officer Hilary Louis Doherty, Air Gunner in 514 Squadron, Royal Air Force Volunteer Reserve, died 30th June 1944, aged 32. Son of Thomas Doherty and of Mary Doherty (nee Bradburn), of Castlepollard, Co. West Meath, Irish Republic. 1143288 Sergeant Kenneth Royston Heron, Wireless Operator in 514 Squadron, Royal Air Force Volunteer Reserve, died 30th June 1944, aged 20. 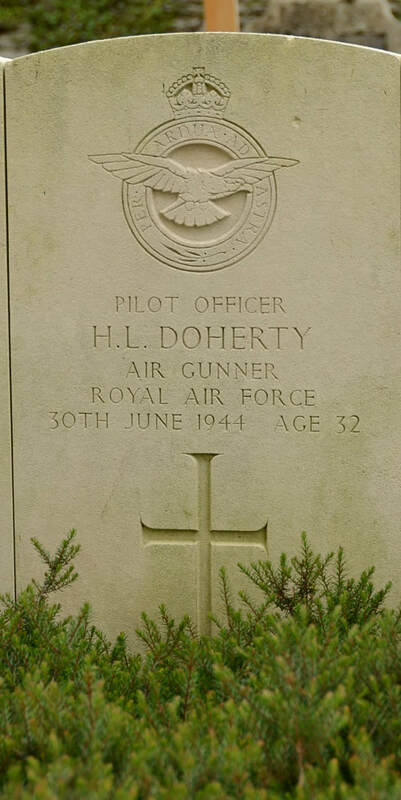 Son of Fred and Ellen Heron, of West Denton, Newcastle-on-Tyne. 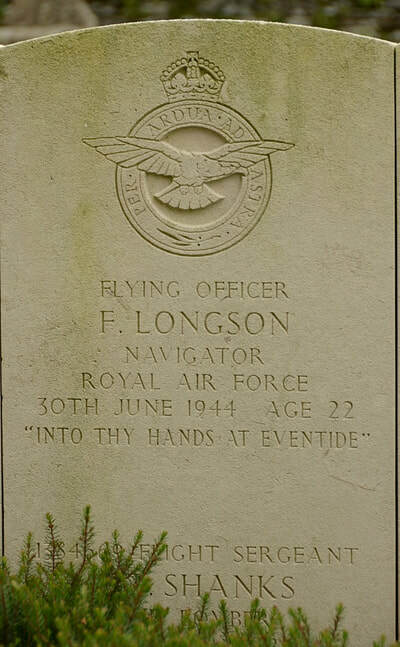 ​138083 Flying Officer Francis Longson, Navigator in 514 Squadron, Royal Air Force Volunteer Reserve, died 30th June 1944, aged 22. 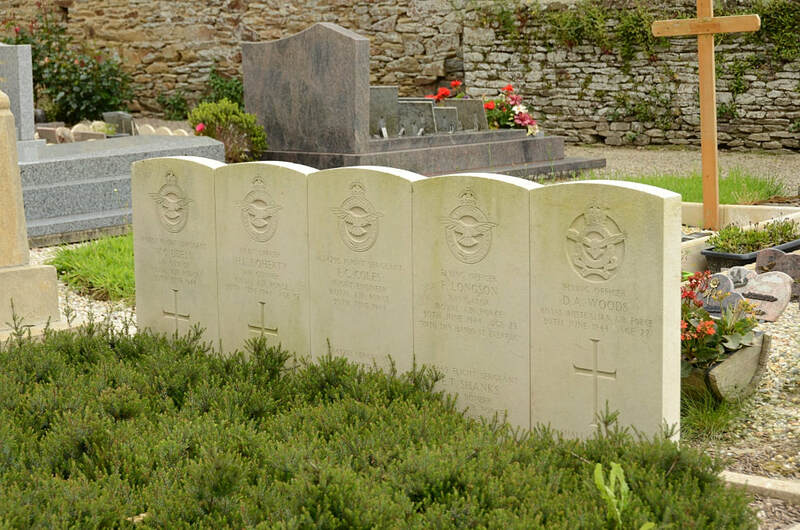 Son of Samuel and Bessie Longson, of Chinley, Derbyshire. 1384669 Flight Sergeant Ernest Thomas Shanks, Air Bomber in 514 Squadron, Royal Air Force Volunteer Reserve, died 30th June 1944. 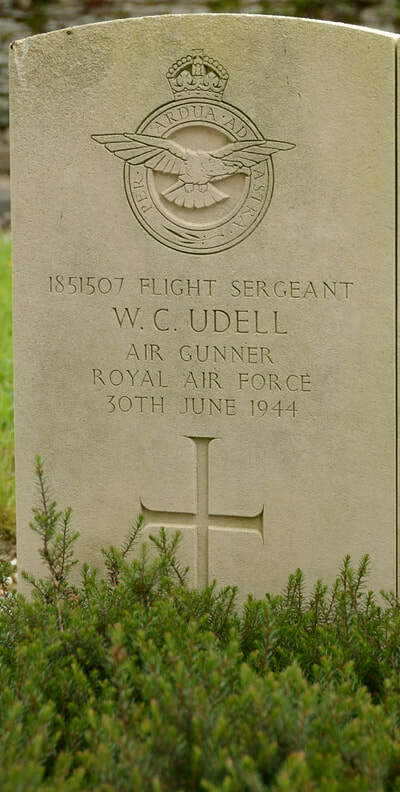 1851507 Flight Sergeant William Charles Udell, Air Gunner in 514 Squadron, Royal Air Force Volunteer Reserve, died 30th June 1944. Son of Thomas Alfred and Elizabeth Louisa Udell, of Blockley, Gloucestershire. 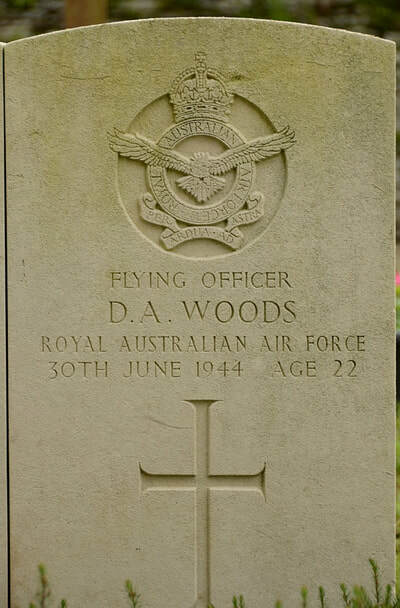 420731 Flying Officer Douglas Austin Woods, Pilot in 514 Squadron, Royal Australian Air Force, died 30th June 1944, aged 22. 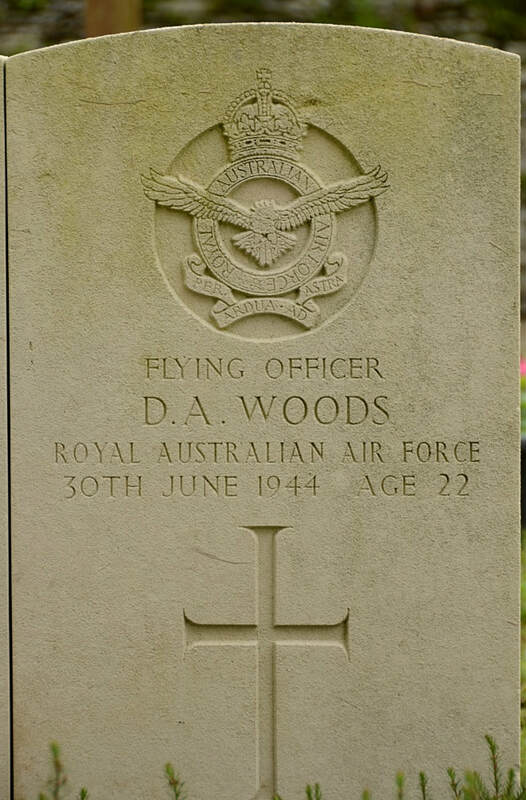 Son of Rupert Austin Woods, and Edna Victoria Finlay Woods, of Wollstonecraft, New South Wales, Australia.